Windows 10 Home and Pro Editions - PC Buyer Beware! The Windows 7/8.1/10 problems and solutions section of this website deals with all kinds of problems that afflict those versions of Windows. Microsoft provided the Windows 10 upgrade free of charge for a year starting on July 29 2015, its official release date. Windows 10 is now no longer free. 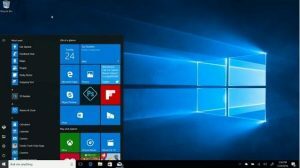 How to get Windows 10 free any time after the July 29 2016 deadline in this section provides the information required to be able to do that. If you want to check if your desktop or laptop PC running Windows 7 or 8.1 is compatible with an upgrade to Win10, click on the following link that provides the download to the Win10 Wizard from Digital Care Solutions. It tells you within a few seconds if your computer can be upgraded. When Win10 was free, one of my desktop PCs failed the test that Windows 7 made available. I ran this wizard on it and got the go-ahead to upgrade. The first time I was told that there was no Win10 device driver for the PC’s graphics card, but that *appears* no longer to be the case. Just in case there is still no driver for the motherboard’s graphics chip, I intend to create a system image of Win7 using the free Macrium Reflect tool to an external hard drive before I attempt an upgrade. The following article provides very useful information about the installation of Win10. Windows 10 had its first anniversary on July 29, 2016. To celebrate it, Microsoft released the Windows 10 Anniversary Update in August 2016 that provides improvements to existing features and new features. The Anniversary Update was followed by the Creator’s Update. Both updates download and install automatically if Windows Update is enabled. The web provides plenty of information on them. The full editions of Windows 10 Home and Pro are available, priced at £85 and £150, respectively in July 2016. On Amazon, the two options are called PC Download and USB Flash Drive. Read the following articles on the subsequent changes. If your computer runs a qualifying version – Windows 7 SP1 or Windows 8.1 – you can reserve your upgrade when the offer is presented automatically. You will be told when it is ready to be installed. The whole process can take a couple of hours or longer, depending on how fast the computer itself and its web connection are. Each release of Windows comes in different versions (Windows 7 Home Premium, Professional, Ultimate, etc.) and these versions can be a 32-bit or 64-bit version. Windows 10 comes in only two versions for the home user – Windows 10 Home Edition and Windows 10 Pro. A 32-bit version can only make use of a maximum of 3.2GB of RAM memory; a 64-bit version can use all the memory that the computer’s motherboard supports and can even make use of a flash drive as extra memory (search for ReadyBoost). Your qualifying version of Windows will upgrade to the equivalent version of Windows 10. For example, the 32-bit Windows 7 SP1 Home Premium will be upgraded to the 32-bit version of Windows 10 Home. Versions higher than the Home version are upgraded to the 32 or 64-bit versions of Windows 10 Pro. Note that since Windows Vista, Windows comes in 32-bit and 64-bit versions. You cannot upgrade from a 32-bit to a 64-bit version or from a 64-bit to a 32-bit version. To change versions requires a clean install. Most but not all 32-bit software can run in a 64-bit system, but no 64-bit software can run in a 32-bit system. 32-bit versions of Windows require 32-bit device drivers and 64-bit versions of Windows require 64-bit device drivers. There are several ways to do so, but the easiest way to find out which bit version is installed is to go Start => Control Panel => System. As shown in the image below for Windows 10, under the Control Panel System heading, System type provides the bit version and the type of processor. E,g., 64-bit Operating System, x64-base processor. Windows 7 and 8.1 provide this information in the same way. That means that you will be able to obtain Win10 from the Store that is accessed from the Start menu and perform a clean installation by burning the ISO file to a DVD or flash drive and using it to boot the system for the installation. Brand-name computers have an OEM Windows licence that has OEM in the Product Key. There are also OEM versions of Windows that self-builders can purchase. An OEM version can only be installed on the first computer it is activated on, it cannot be transferred to another computer. Microsoft regards changing the motherboard as a new computer that requires a new OEM licence. If an OEM computer uses the free Win10 upgrade, the licence cannot be transferred to another computer and if the motherboard is changed a new licence is required. A retail copy – Upgrade or full version – of Windows 7 SP1 and Windows 8.1 can be used to upgrade or install an unlimited number of times on an unlimited number of computers as long as it is only running on one of them at a particular time. This state of affairs remains with the free Win10 upgrade. When the year over which the free upgrade is available, ending on July 29 2016, Windows 10 will have to be paid for in the usual way by buying a licence. I have read on some IT websites that the free upgrade does not provide a Product Key but is linked to the user buy a Store ID when the user registers Windows by providing or creating an Outlook.com email account. The user can then download the version of Win10 that was used to perform the upgrade at any time from the Store, which is an item on the Start menu. Note that user are not required to use their Outlook.com email addresses However, the upgrade version is given a Product Key that can be found by using a tool such as the Belarc Advisor from http://www.belarc.com. Look for it under Free Download. When it is installed and opened, look under Software Licences (top, left-hand side) for the Product Key and make a note of it. Apparently, at the time of writing, the popular Magical Jelly Bean Keyfinder tool contained malware and should therefore not be used without checking its current status. Note that the free upgrade does not itself expire after a year, only the ability to obtain it free of charge does. After you have used the free offer to upgrade Windows and obtained the Product key or you provided an Outlook.com account during the Win10 setup, Win10 will be registered with the Store from which it can be obtained at any time, making it yours forever in both cases. As soon as possible after Win10 is up and running, since the upgrade is a long process, you should create a system image on an external hard disk drive so that it can be restored quickly compared to reinstalling the qualifying version of Windows and the upgrading it. There is a limited time – a month after the installation – that Win10 keeps its Windows.old folder that contains the files that makes it possible to revert to the previous version, so I would also create a system image of the system that is going to be upgraded just in case you want to return to it much later than a month after upgrading. The following webpage shows how to clean-install Win10 after the upgrade. An upgrade builds on a qualifying version so is not a pure installation, which a clean-install is. Here are two useful pages. It is advisable to create a Win10 boot DVD disc or flash drive.